consent of ParaPower.org. Web Design by © ParaPower. 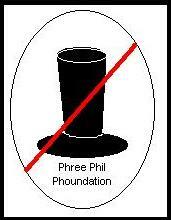 Welcome to the PHREE PHIL PHOUNDATION. many as 30,000 in one day in a desperate attempt by crowds to predict the weather. I say enough! this poor animal? Where will it end? handlers a thing or two. Perhaps its name would then be Homelite! 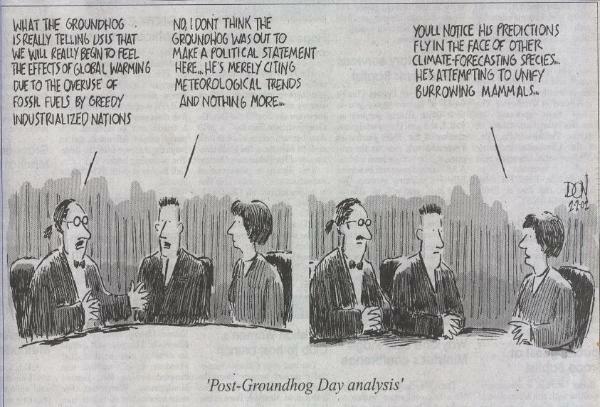 I call on all good groundhog lovers everywhere to call for Phil Phreedom Phorever! For more inphormation, check out our link at www.parapower.org. Wouldn't that be phun? seems to love his situation. He just doesn't sleep well on February 2nd, that's all!